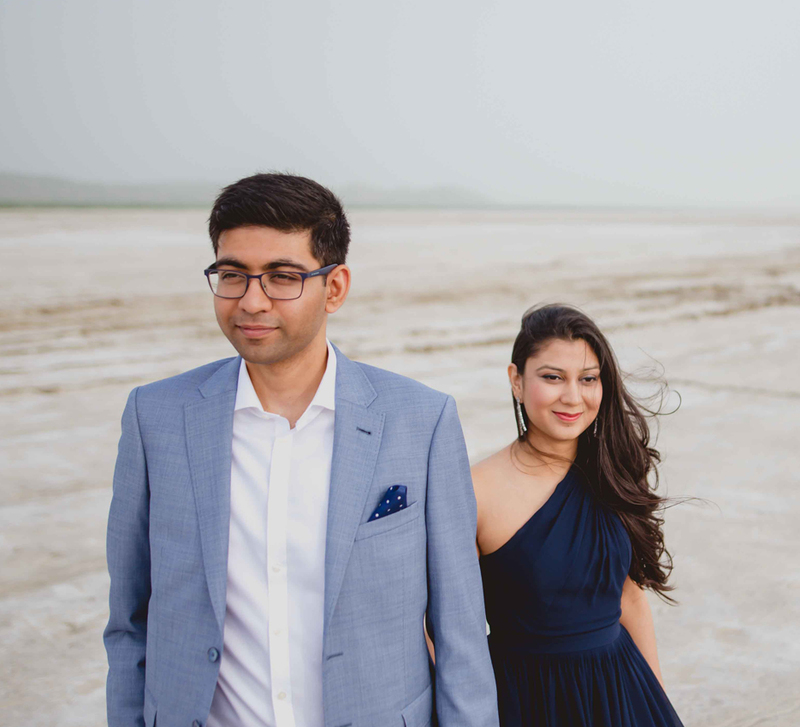 Shainal and Deepali chose cool venues in Mumbai such as a glitzy bar, an iconic restaurant, and a rooftop eatery for their wedding functions. 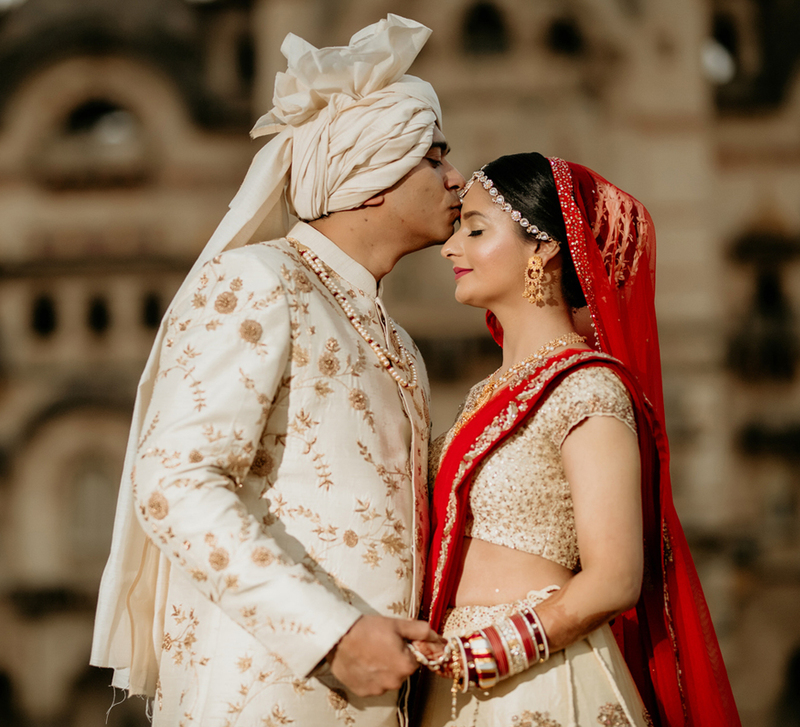 Shainal and Deepali’s love and relationship stood the test of time, and their lavish #ShaDee nuptials were a celebration of their commitment. Check out all their special moments captured by WeddingSutra Favorite - Knotting Bells which the couple will cherish for a lifetime. Shainal and Deepali started dating in college. Blackberry Messenger played a pivotal role in the process, as Shainal made his first move via text messages. Although Deepali was hesitant to respond at first, his perseverance paid off, and she finally spoke to him. Deepali recalls, “The first time we ever met was at the entrance gate of the college. My first question to Shainal was, 'How do you pronounce your name?' He immediately responded with a huge smile. Our first date was at a cafe where both of us enjoyed an extremely delicious and fattening burger! We started dating after two months of knowing each other." The next chapter of their love story saw the two almost breaking up after being together for seven years. However, Shainal finally spoke to his parents, and the couple's families met for the first time. Once they had the blessings of their parents, the couple made it official with a roka ceremony at the Royal Imperial Lounge at NSCI in 2017. That was followed by a grand engagement party for the couple’s friends and families at Bombay Adda. Shainal and Deepali came up with the witty hashtag for their wedding - #ShaDee. Their elaborate celebrations included a lineup of various functions hosted at some of Mumbai's best venues. The first one was a grand cocktail with 'A Gilded Tale' theme that was held at the stylish Luna Nudo restaurant and bar situated on the 37th floor of The St. Regis hotel. After the cocktail, a 'pooja' (prayer/worship ceremony) was performed for the couple’s wellbeing. Deepali and Shainal picked color-coordinated outfits to wear for this event which was attended by close loved ones. After the heady cocktail evening, it was time for the fun sangeet at Taj Vivanta that was titled ‘The Grand Soirée.’ Considering the Bollywood vibe of Shainal and Deepali's love story that saw its ups and downs, it was only fitting that the bride wore a dreamy creation by B-Town’s favorite designer - Manish Malhotra. Shainal, on the other hand, donned a bandhgala ensemble by Rohit Bal. 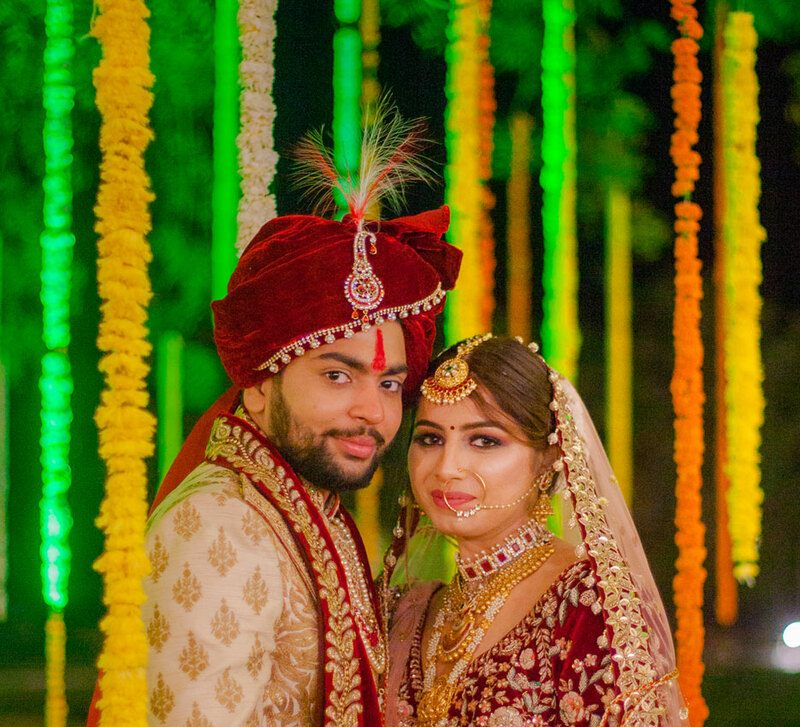 The couple chose to host their mehndi at Gallops restaurant which is a legendary restaurant at Mahalaxmi Racecourse. The couple looked like they walked out of a fairytale at the 'Sundown Sufi' themed event. Deepali wore a lehenga with a floral top by Papa Don't Preach by Shubika and completed the look with flowery accents in her hair and matching 'kaleerein' (dangling ornaments for bridal bangles). Shainal’s outfit matched Deepali, and the duo looked beautifully coordinated. For this religious function, Deepali chose to wear a dark blue lehenga with a layered skirt and a heavily embellished cape that looked stunning and appropriate for this intimate occasion. The big day finally arrived for #ShaDee! The couple was all smiles as family members and loved ones gathered to celebrate their union at The Palace Halls at NSCI. Deepali left everyone mesmerized as she walked down the aisle towards the mandap in a traditional red Sabyasachi Mukherjee lehenga. No one could take their eyes away from the bride, especially the lovestruck groom. 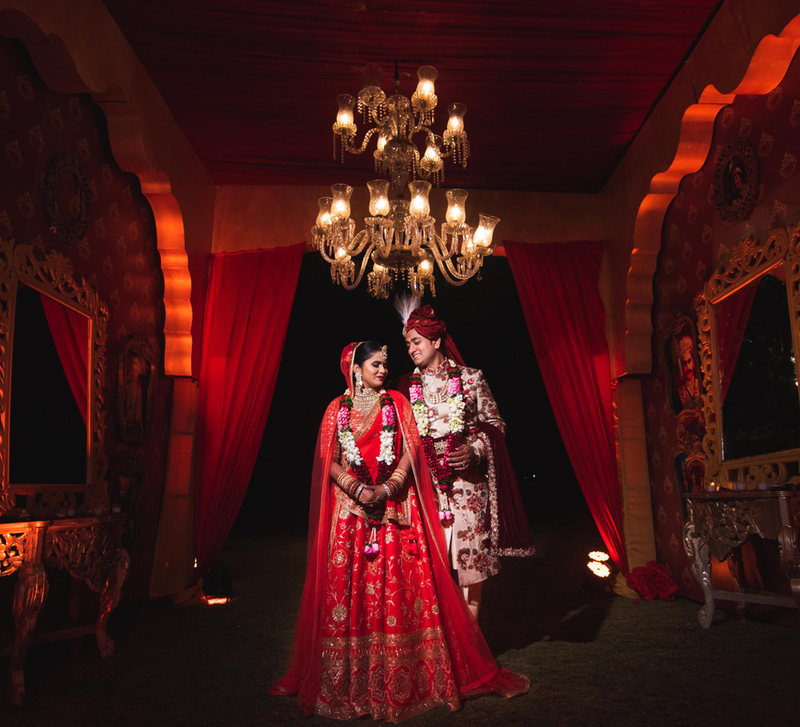 Deepali shares her favorite moment, “The minute I entered, Shainal whispered to me, 'You’re the prettiest bride ever.' After the garlanding ceremony, we held hands and walked to the mandap with tears rolling down our cheeks. We couldn't believe we met in college, fought the world together and here we were on our wedding day - inseparable."